For Manipur the Battle of Imphal was by no means its only experience of the Second World War. The entire period of the War is known locally as "Japan Laan". In Wounded Land, John Parratt writes: ‘By the time the war ended, Manipur had been forcibly dragged into the modern era’. This is no exaggeration. Indeed, Manipur is the part of India that was most affected by the Second World War and its Burma Campaign. 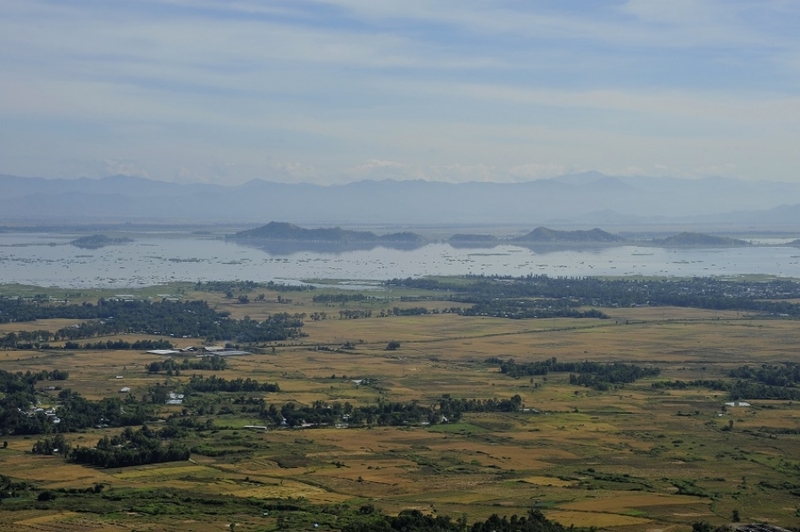 From being a quiet corner of the Raj with few links to the outside world in early 1942, Manipur became a frontline state between the British and the Japanese once the latter took over Burma that year. Imphal became the first major entry point for refugees fleeing Burma in 1942 – over a hundred thousand are said to have trooped through Manipur en route to Dimapur and Silchar in then-Assam. On what later became Imphal Main, also known as Koirengei airfield, was established a large camp to house the refugees. The British Burma Army also retreated through Manipur, with both General Slim and American General Joseph W. ‘Vinegar Joe’ Stilwell passing through Imphal. Imphal itself was bombed for the first time on May 10 and 16, 1942, sending most of the population of the city fleeing. In the months that followed, Imphal became an important forward supply base and Manipur’s infrastructure was developed like never before. Bridle paths were turned into tarmac roads, additional jeep tracks were laid, airstrips built where none existed, and thousands of troops from other parts of India and the world began pouring in. Business boomed in Imphal, with the arrival of the soldiers requiring all sorts of goods and supplies. Things built up to a crescendo when in March 1944 Manipur and its people were thrust headlong into the maelstrom of the Battle of Imphal. Many had to evacuate their homes and seek shelter elsewhere; villages were bombed; and houses destroyed during some the bitterest fighting the world had ever seen. And those were just the physical costs. Psychologically, besides being exposed to people from other parts of India and the world in large numbers during the War, Manipur’s population was subjected to intense propaganda both in favour of the British War effort and, to a more limited extent, the INA and Japanese. While some sections of the people did side with the latter, others – led by Maharaja Bodhachandra – extended their support to the British War effort. In a 1993 paper for the Manipur State Archives, Dr. N. Lokendra Singh explained that Manipur’s experience of the Second World War ‘…brought rapid but profound changes in the consciousness as well as socio-economic life of the people. These changes not only paved the way for the emergence of new social forces, but also prepared the necessary pre-conditions for a strong popular movement for bringing about broad economic and political changes in Manipur during the immediate post Second World War period.’ Manipur had changed forever.